Man-made polychlorinated phenols such as pentachlorophenol (PCP) have been used extensively since the 1920s as preservatives to prevent fungal attack on wood. During this time, they have become serious environmental contaminants. Despite the recent introduction of PCP in the environment on an evolutionary time scale, PCP-degrading bacteria are present in soils worldwide. The initial enzyme in the PCP catabolic pathway of numerous sphingomonads, PCP-4-monooxygenase (PcpB), catalyzes the para-hydroxylation of PCP to tetrachlorohydroquinone and is encoded by the pcpB gene. 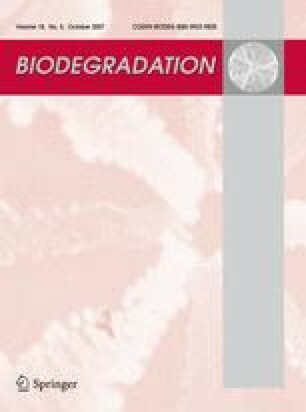 This review examines the literature concerning pcpB and supports the suggestion that pcpB/PcpB should be considered a model system for the study of recent evolution of catabolic pathways among bacteria that degrade xenobiotic molecules introduced into the environment during the recent past. Metagenomic analyses reported here were supported by grant 1-R21ES012814 from the National Institute of Environmental Health Sciences.